Heat Rash Pictures Treatment, Remedies & How to Get Rid of It! How effective are electric fans in preventing heat rash? What is the prognosis for heat rash? Heat rash occurs when the skin's sweat glands are blocked and the sweat produced cannot get to the surface of the skin to evaporate. This causes inflammation that results in a rash. Heat rash can be prevented by avoiding hot, humid conditions, wearing lose fitting clothes, and using air conditioning or fans to allow air to circulate. Heat syncope: Someone who experiences heat syncope (fainting) will experience the sudden onset of dizziness or fainting after exposure to high temperatures, particularly after exercising in the heat. The skin's job is to protect the inside of the body from the outside world. It acts as a preventive barrier against intruders that cause infection, chemicals, or ultraviolet light from invading or damaging the body. It also plays an important role in the body's temperature control. One way that the body cools itself is by sweating, and allowing that sweat or perspiration to evaporate. 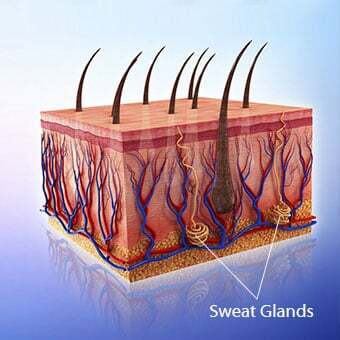 Sweat is manufactured in sweat glands that line the entire body (except for a few small spots like fingernails, toenails, and the ear canal). A heat rash occurs when sweat ducts become clogged and the sweat cannot get to the surface of the skin. Instead, it becomes trapped beneath the skin's surface causing a mild inflammation or rash. Heat rash is also called prickly heat or miliaria. It is uncertain why some people get heat rashes and others don't. Creases in the skin like the neck, armpit, or groin have skin touching adjacent skin, which makes it difficult for air to circulate, and prevents sweat evaporation. Tight clothing that prevents sweat evaporation. Bundling up in heavy clothing or sheets. This may occur when a person tries to keep warm in wintertime or when chilled because of an illness with fever. Heavy creams or lotions can clog sweat ducts. Babies have immature sweat glands that aren't able to efficiently remove the sweat they produce. They can develop heat rash if they are exposed to warm weather, are overdressed, excessively bundled, or have a fever. Heat rash may occur as a side effect of some medications (for example clonidine [Catapres]). 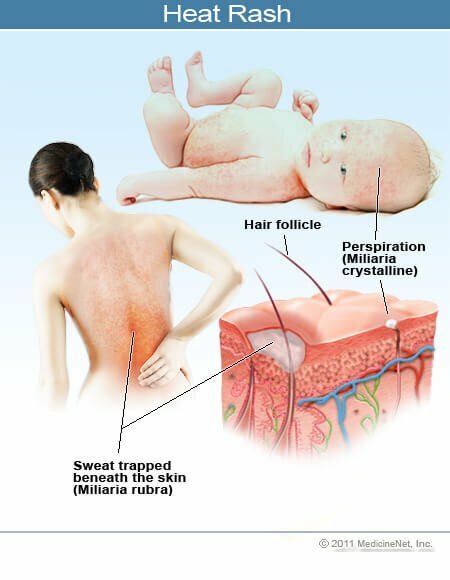 The symptoms of heat rash are the same in infants and adults; however, since an infant cannot complain about the rash sensation, he or she may be fussy. 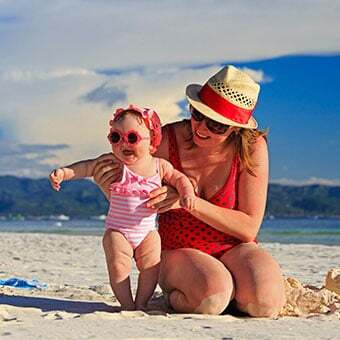 Newborns, infants, the elderly, and obese individuals with large areas with skin-on-skin contact areas (for example, a large overlapping area of abdominal fat) are at risk for developing heat rash. They all are especially at risk if they are immobile for long periods and parts of the skin aren't exposed to circulating air, which results in the inability of the sweat ducts to "breathe" (evaporative cooling). Heat rashes are more common in places with hot, humid, climates because people sweat more. 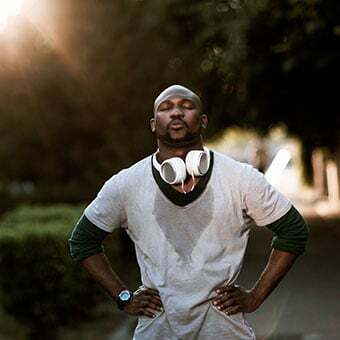 Intense exercise associated with lots of sweating may cause a heat rash, especially if the clothing worn does not allow adequate air circulation. The appearance of the heat rash depends upon where the excess sweat is deposited in the skin. 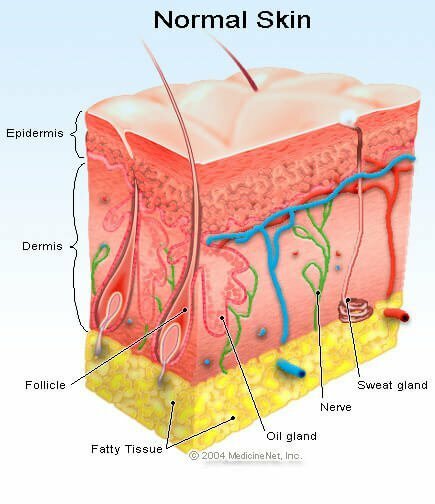 Tiny blisters that look like small beads of sweat are seen if the sweat is blocked at the most superficial layers of the skin where the sweat duct opens on the skin surface. Called miliaria crystallina, it has no symptoms other than these "sweat bubbles." Classic heat rash or miliaria rubra occurs if the sweat causes inflammation in the deeper layers of the epidermis. Like any other inflammation, the area becomes red (and therefore the name rubra = red) and the blisters become slightly larger. Because the sweat ducts are blocked and don't deliver sweat to the skin's surface, the area involved is dry and can be irritated, itchy, and sore. This rash is also called prickly heat. Less commonly, after repeated episodes of prickly heat, the heat rash may inflame the deeper layer of the skin called the dermis, and cause miliaria profunda. This rash is made up of larger, harder bumps that are more skin colored. The rash begins almost immediately after exercise, and again no sweat can be found on the affected areas. Rarely, this type of heat rash may be potentially dangerous if enough skin is involved, since the lack of sweating can lead to heat-related illnesses like heat cramps, heat exhaustion, or heat stroke. The diagnosis of heat rash is made by physical examination. Knowing that the rash appears during sweating or heat, appreciating the location on the body (in skin creases or where clothes fit tightly) and seeing what the rash looks like is enough to make the diagnosis. As with many rashes, the health care professional may look at the involved skin and because of previous experience, immediately make the diagnosis. Treatment for heat rash include home remedies such as over-the-counter creams and sprays. Medical treatment for heat rash may involve antibiotics if the sweat glands become infected. Heat rash often resolves on its own when the skin cools. If the prickly sensation persists, calamine lotion may be helpful. Some clinicians also recommend over-the-counter hydrocortisone creams or sprays. Heat rash resolves on its own once the skin cools, but on occasion, the sweat glands can become infected. The signs of infection include pain, increased swelling, and redness that does not resolve. Pustules may form at the site of the rash. This infection occurs because bacteria have invaded the blocked sweat gland. Antibiotic treatment may be required. Chronic and recurrent heat rash may need to be treated by a health care professional or dermatologist (skin specialist). Prevention is the most important treatment for heat rash. By allowing the skin to be exposed to circulating air, the potential for sweat ducts to become blocked and the glands to become inflamed decreases. Keeping the skin cool on hot days is an important preventive measure. Air circulation (with fans or by other methods) usually will help with skin cooling. It is important not to bundle newborns and infants too tightly so that air can get to the skin, but it also is important to keep them warm enough. It is important to move individuals who are immobile (for example, some elderly, those with paralysis, or are weak) so all parts of the body can be exposed to fresh air. The body can adapt very well in hot weather, but it takes time to acclimate. The actual temperature is just one factor when a person decides to work, play, or exercise in the heat. The heat index adds humidity to the equation since sweat cannot evaporate if the water content in the air (humidity) is high. If the air holds as much water as it can there is no place for sweat to go, and evaporation cannot cool the body. To minimize the risk of heat-related illnesses, try to avoid working or exercising in extreme heat. Avoid dehydration and other complications by taking frequent breaks to get out of the heat, and drinking plenty of water or other fluids to replenish fluid lost through sweat. Early signs of heat-related illnesses include lightheadedness, weakness, and nausea. It is important to get out of the heat, cool off, and rehydrate immediately to avoid severe heat-related problems such as heat exhaustion and heat stroke. To calculate the heat index in your area, go to the U.S. Army's Heat Index Calculator online. It is hard to gauge how much water is lost through sweat, and the thirst mechanism may not be sensitive enough to remind a person to drink enough. In general, the kidneys are a good guide to whether there is enough water in the body. If the body is dehydrated, the kidneys will try to hold on to as much water as possible. Decreased urine production, urine concentrated in color, and a strong urine odor are signs that the kidneys are trying to conserve the body's water supply. Urine is clear when there is enough fluid in the body. In a hot environment, a person should drink enough water to make the urine clear, and make sure the body is producing sweat. Sweat and urine loss also involves electrolyte loss. Although drinking water is good, other fluids such as sports drinks should also be consumed to replace lost electrolytes to avoid other problems like hypokalemia (low potassium). 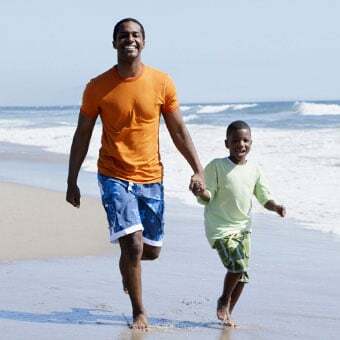 People that are taking medications for conditions such as diabetes, kidney problems, and congestive heart failure (CHF) need to be especially careful about their fluid intake, and discuss how to avoid hot-weather related problems with their doctor(s). Taking salt tablets is not a good idea. While the body loses many electrolytes when it sweats, there are mechanisms in place to compensate for the loss. Usually, keeping the body hydrated with plain water is adequate but does not resupply electrolytes. Sports drinks (for example, PowerAde, Gatorade) may be reasonable alternatives if prolonged exercise or work is required in hot conditions. Evaporation works to cool the skin only if the sweat that the body produces is allowed to evaporate. Lightweight, loose clothing allows air circulation to the body's surface and helps promote cooling. While cotton is the classic fabric that can be used, some synthetic fabrics have been developed to wick sweat from the skin, which allows the skin to be more efficient at skin or body cooling. Heat rash or prickly heat tends to be selflimiting, and gets better once the skin cools and is allowed to breathe. Prevention by not allowing heat to accumulate in body areas, followed by cooling the skin are the most common ways to obtain the best prognosis for heat rash. Don't let spider bites, sunburn, poison ivy, chigger bites, and jellyfish stings sabotage your healthy skin. This WebMD slideshow illustrates what to watch for -- so you can stay safe this summer. What were the symptoms of your heat rash? What was your heat rash treatment? What home remedies have you tried for a heat rash? What are the triggers or causes of heat rash for you, a relative, or friend? This is the most common form of miliaria. See a picture of Miliaria Rubra (Prickly Heat) and learn more about the health topic.